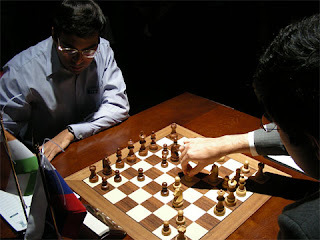 Going into round 10, Kramnik needed a win against Anand to give himself a shot at winning. With 5 rounds left, he and Gelfand trailed by 1.5 points, and Anand was going to have to meet each of them with the Black pieces. A final exam for a potential champion!